Having a time without any worries and sorrow, feeling free and still not missing the pole was the experience we could enjoy in 2017 when going on holidays together. We thought we just have to share that with you. So the idea of our Pole Holidays was born. The Pole Holidays are not exactly like a common pole camp that you might know. 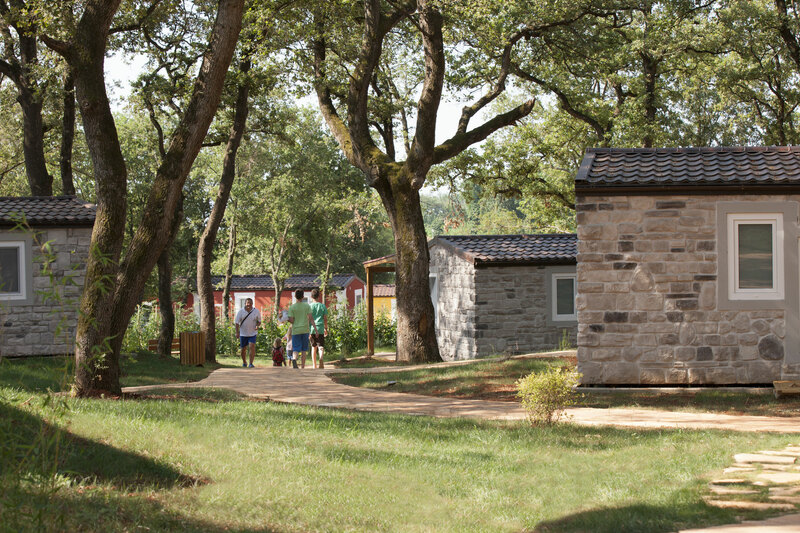 At first nature is our studio (and the surrounding of the Aminess Mobile Homes) and each little house (for 4 persons each) has its own outdoor pole stage. Second there are Pole-Times on every day setting focus on specific things that we want to learn from each other while supporting one another and keeping on developing. Additionally there are yoga and stretching units with Lisa Klingler and finally Miss Pole Dance Austria Britt Bloem visits us for workshops and semi-privates (each mobile home has a special time with Britt on different days). 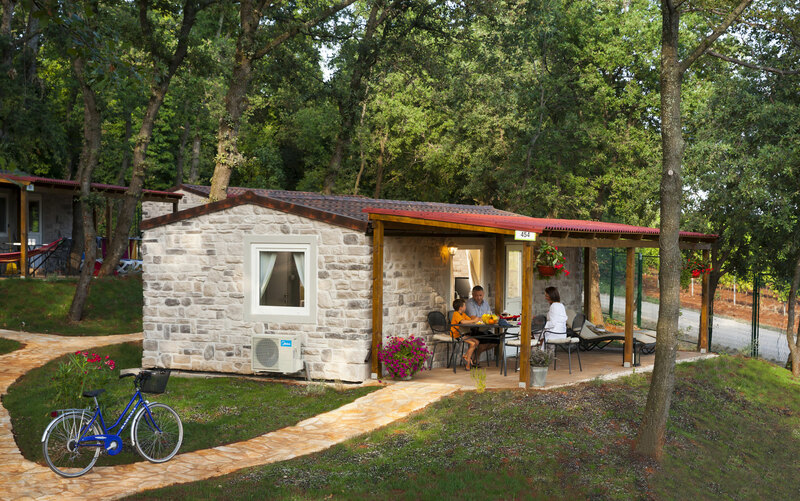 The Aminess Istrian Villas are premium mobile homes within the 4* area of Aminess Mareda Park in Novigrad. 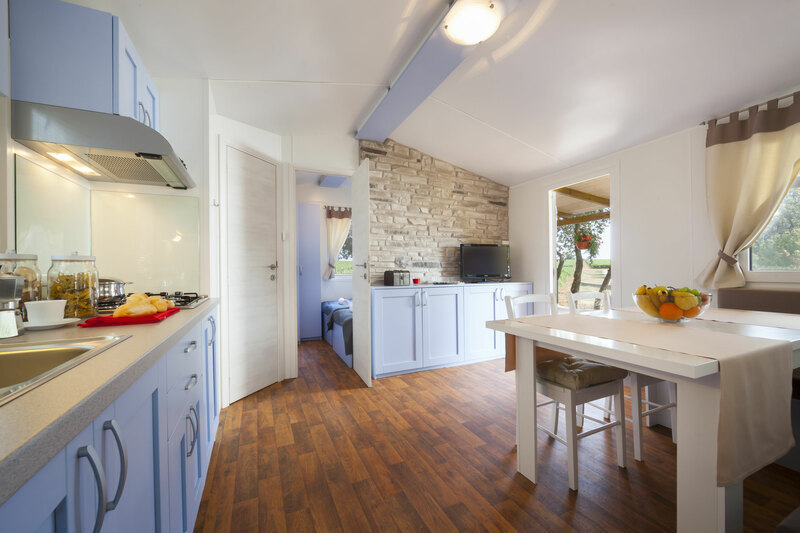 Each mobile home has 2 separated double bed rooms, two little bath rooms, one kitchen and living room and a large terrace with table/chairs and sunloungers. The kitchen is fully equipped (fridge, cooktop, pots and pans, tableware), towels and covers are provided. Of course you are welcome to bring everything you need or want with you and store/cook it in the kitchen or also use the BBQ space. In the park there is a supermarket, a bakery (with breakfast delivery service), restaurants and bars. 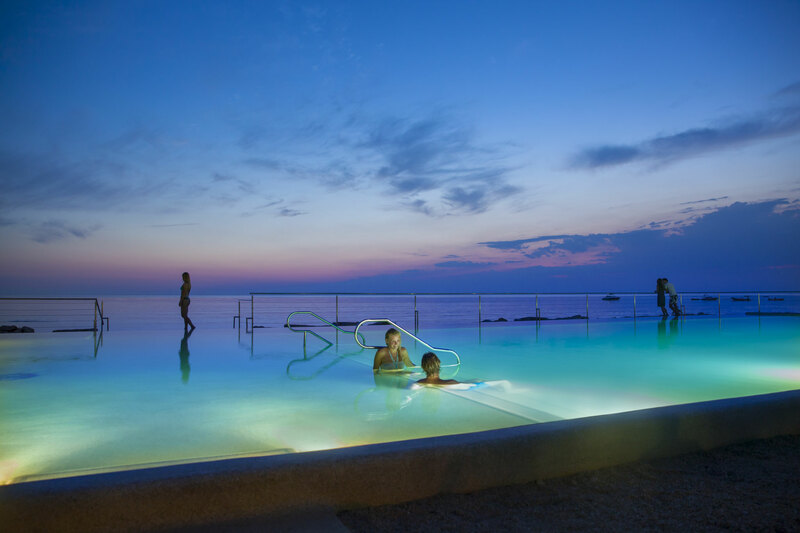 Only some kilometers away there is the charming center of Novigrad where one restaurant after the other awaits with delicious food and the beautiful view of Novigrad's Marina. On (at least) two evenings we will install one or more poles at the beach. Our dear and talented photographer Madlen is giving us company over the whole week and provides you your shooting pictures so in the end everybody will have their own poledance pictures surrounded by the wonderful ocean view of the Croatian coast. Three times in a row Britt Bloem won the national championship Miss Poledance Austria and is absolutely stunning on and off pole. Her workshops always take you forward due to her talent to explain, her sensible and easy going way. No matter if big spins, static and spinning combinations or flexy tricks - Britt knows how to transfer her capacity so each and everyone on any level will learn new things and will leave the workshops stronger than before. During the Pole Holidays we will have 2 workshops for all participants with Britt plus 8 semi-privates (1 per mobile home). The focus of the workshops and semi-privates will be set in accordance with participants' wishes and levels. Lisa's approach towards yoga is characterized by the courage to leave your comfort and safety zone in order to be prepared for new challenges and trust in the flow of life. Perceive. Feel. Let go. Lisa is yoga teacher and teacher instructor, Budokon trainer and Mixed Movement Artist. Her focus is on Vinyasa and Yin Yoga (next to her special education in Budokon). During the Pole Holidays Lisa provides a special feeling of well-being with yoga, meditation and stretching units. So a time to relax and challenge at the same time. Let's spend the evening together! 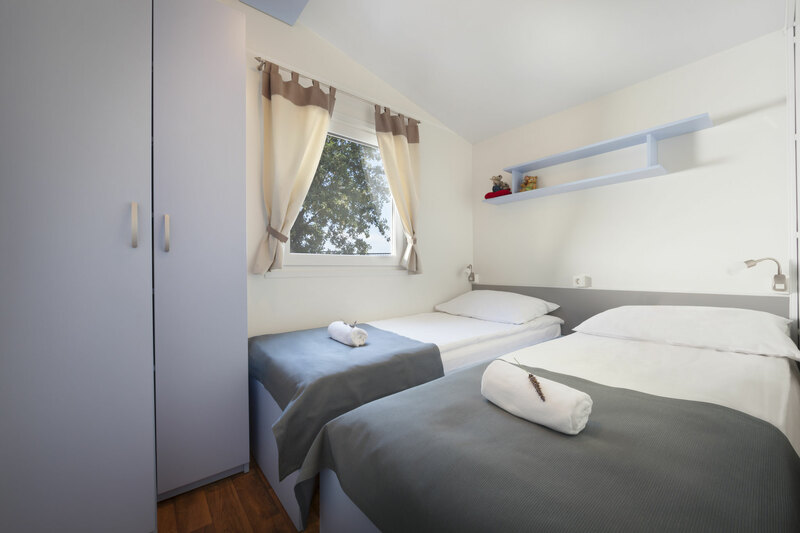 The prices include accomodation in the double bed rooms of the premium mobile homes, all workshops, semi-privates, yoga units and the photoshooting at the beach. Food is not included. When booking the Early Bird ticket the holiday fee has to be paid until the Early Bird expiring date, when booking in 2018 it has to be transferred until 4 weeks before the Pole Holidays. Please let us know in the booking form (even if in just some words) how you would describe your level and experience in poledance and your wishes for workshops and pole times. We'll try to match everybody's preferences. If you have any questions feel free to write or call us. We are looking forward to having a great, memorable time with you!